I read Robert Mitchelle's previous book "Only Shot at a Good Tombstone" and really enjoyed it. 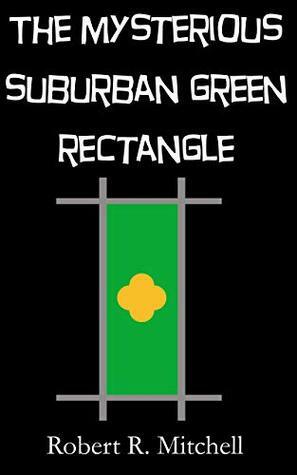 So, with his second book "The Mysterious Suburban Green Rectangle: and What I Found There" out now, I downloaded a copy for my Kindle. The book is quite a bit different but also very clearly written by the same author. 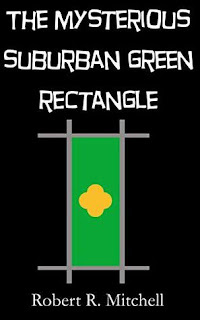 “The Mysterious Suburban Green Rectangle: and What I Found There” uses the same vivid language he uses in his first book that transports the reader into the mysterious world he has created in this novel. It contains the same lessons that people should learn from the society we are living in yet ignore like put down the phone and take a walk. Where it differs is in Mysterious Suburban Green Rectangle is he has created a world that borders the line between reality and fantasy, between the concrete walls that surround us and the flights of fancy we experience in our days or nights. The book is our imagination running wild. We walk past a place and imagine what could be within that place. Mitchell takes that and creates a world around it, a world filled with a little of adventure and a little of hope.